Last week, on a rare sunny evening, I meandered over to George Street after work to check out the most colourful display on George Street. Kiehl’s brand new bus rolled into town a week or so ago, and has been providing the city with the best beauty products ever since. 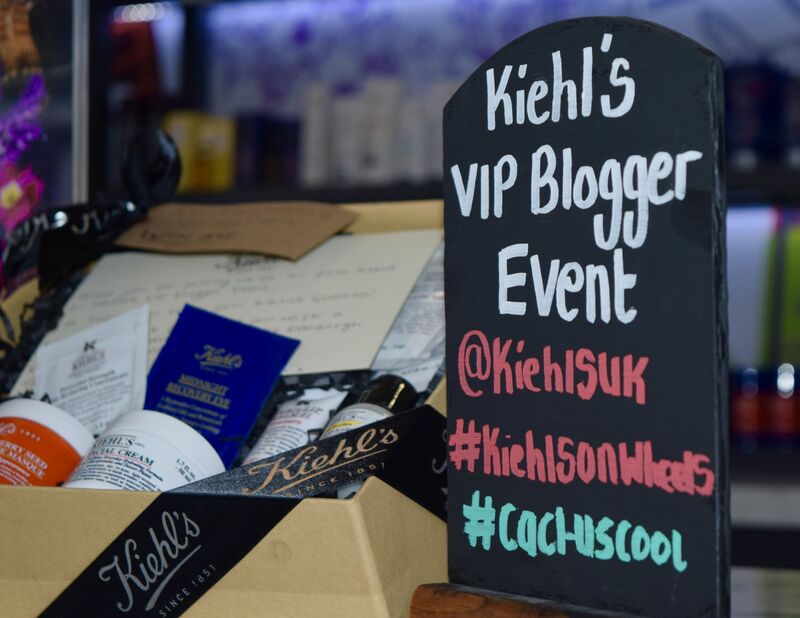 Considering I use and adore at least five separate Kiehl’s every morning, it was a no brainer that I would head down and see what the brand was up to, plus it’s always fun to go to blogger events. 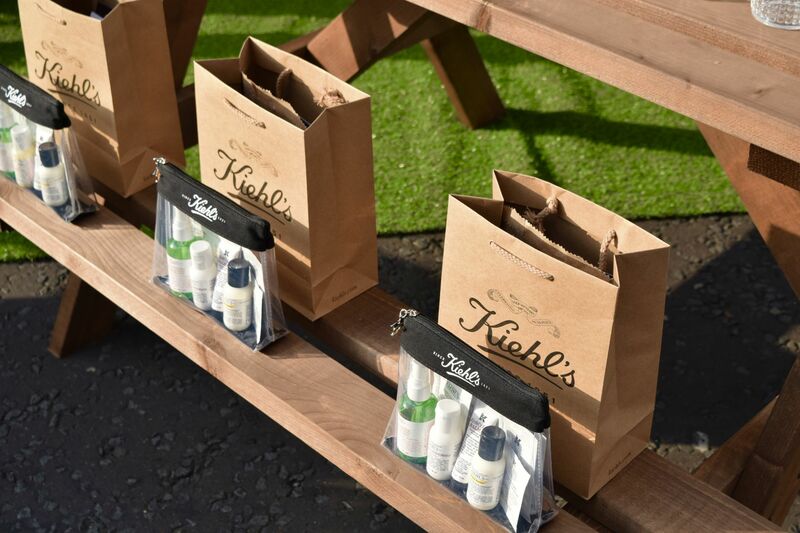 Kiehl’s, I’m glad to say, didn’t disappoint – with the most adorable picnic benches laden with goodie bags, it was so lovely to meet some Edinburgh-based bloggers. 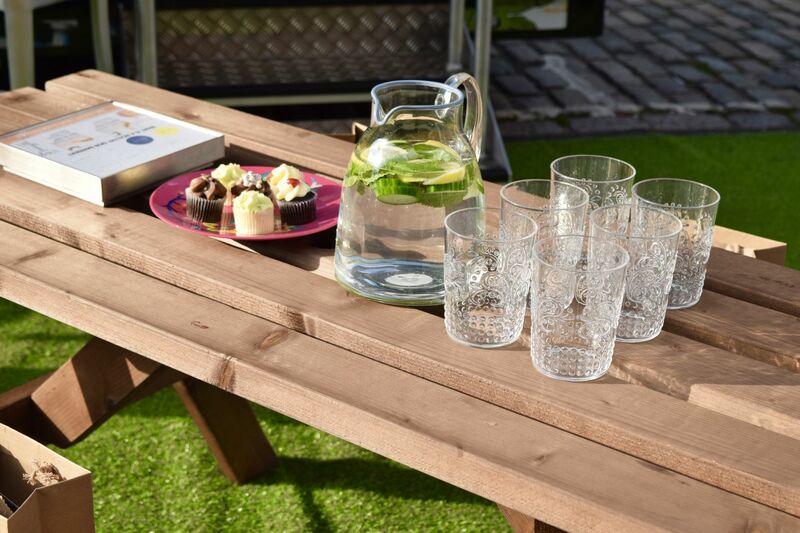 After some introductions, as well as a snoop around the Kiehl’s bus (it’s packed with brand favourites for skin, hair and body) it was time for the evening to begin. 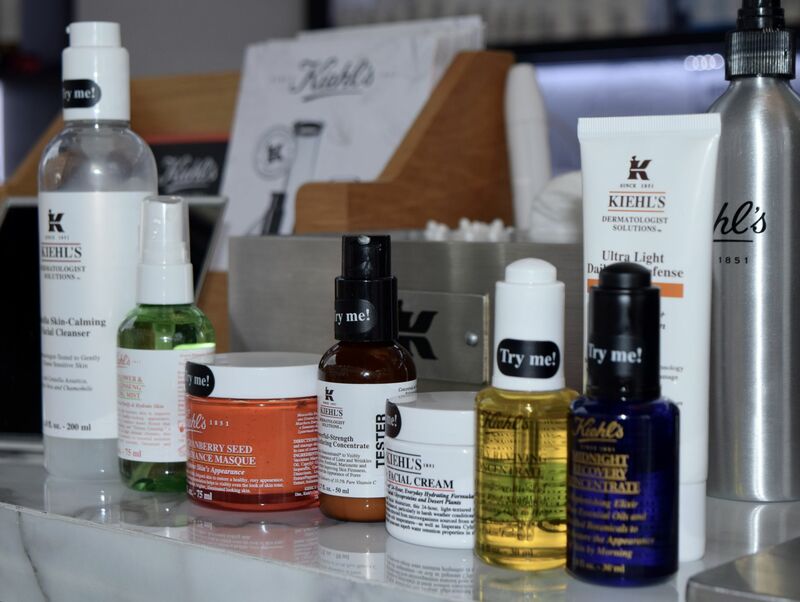 We packed into the benches, and got to grips with learning all about the best of what Kiehl’s have to offer. Jennifer (from Tartan Brunette) bravely volunteered to be the model for the evening, letting Kiehl’s expert Holly demonstrate how to best use and apply each product. Starting right from the basics, we sniffed, rubbed and patted in a whole shelf of products, falling harder in love each time. There were a tonne of old favourites, including many which I use on a daily basis, but getting to try out products like the Ultra Facial Cleanser, means that my wish list has grown rather long since last week! There was a lucky-dip prize at the end of the evening, which the very lucky (and lovely) Emma from unf4bul0us won, and we all toddled home, clutching our groaning Kiehl’s bags. Very kindly, we were treated to a mix of hero products as well as some treats from a Scottish pop-up across the street, which I’ve been using ever since – I’d forgotten how great Kiehl’s old-school lip balm is! There was also a full size bottle of the new Cactus Flower Hydrating Mist, which is super handy, as I’ve blown through half of my first bottle already! 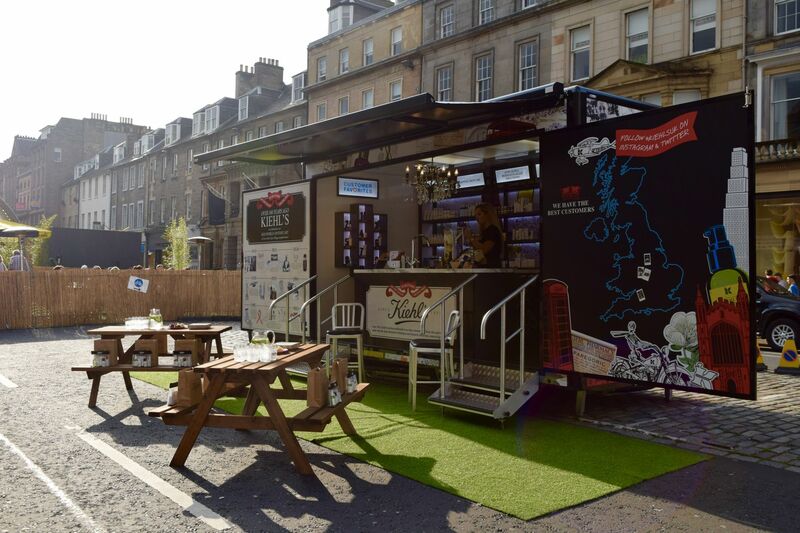 The bus will be chilling in the middle of George Street for the next week or so, and then is starts up it’s travels again. 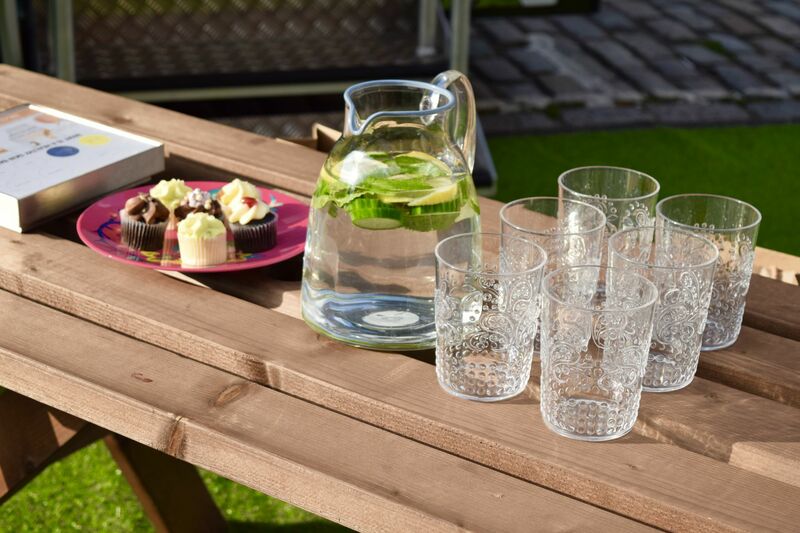 So, if you hear it’s heading down your way, pop in, say hello, and treat yourself to something lovely! Thank you to Holly, Kiehl’s and Kiehl’s on Wheels for having me! Ok, so if you read here regularly (and come on, you should!) you’ll know I have a weakness for lip balms. I can’t stand the feeling of dry lips, so my life is basically littered with chapsticks and balms. I also have the aesthetic sensibilities of a schoolchild, so when I caught sight of these adorable lip balms, I just couldn’t resist! 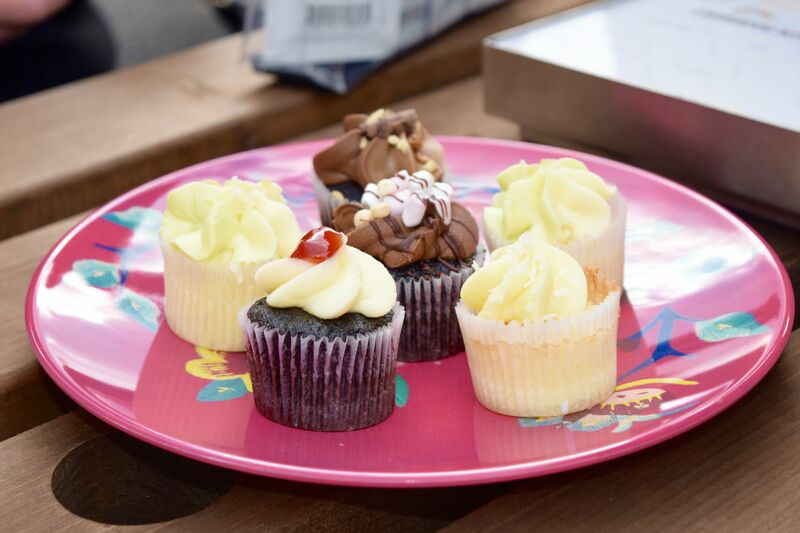 If you’ve never tried these little gems, you’re seriously missing out. 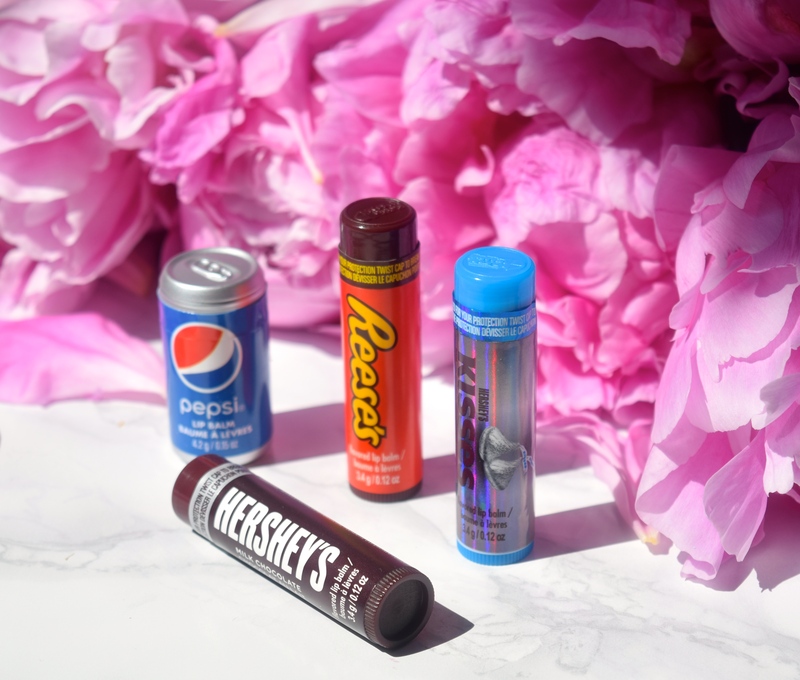 Teaming up with brands like Hershey, they manage to combine a rather hydrating balm formula, a rather yummy chocolate scent/flavour and you even get a hit of sheer colour! 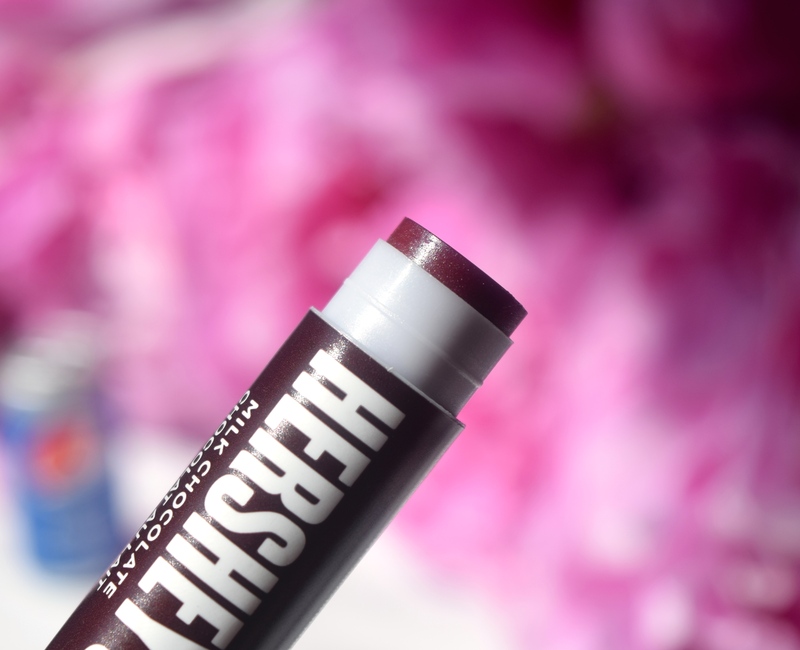 The Hershey Milk Chocolate Balm give lips a rather surprisingly flattering berry hue, and I love the cocoa taste. 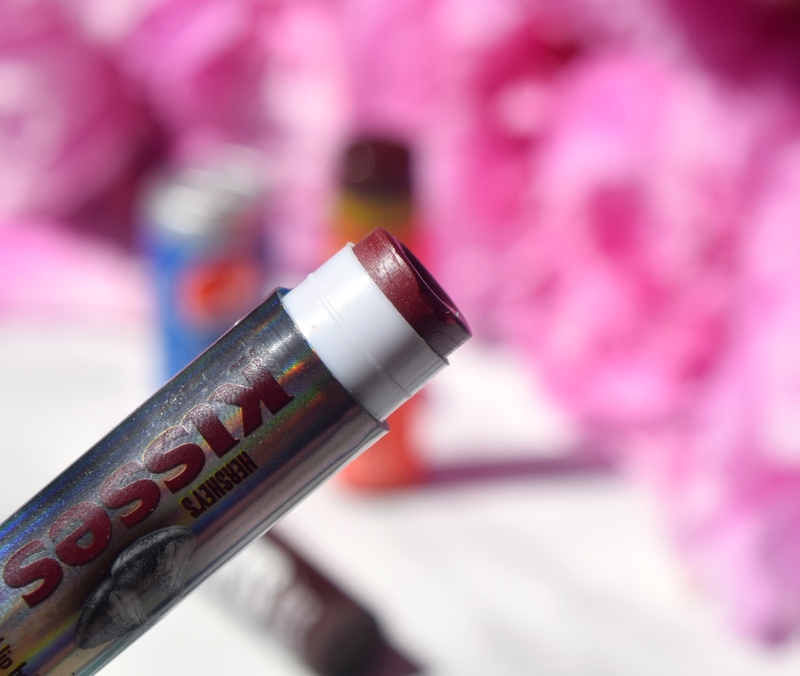 The Hershey Kiss feels like it was made to be turned into a balm. Again, you get a similar hue and flavour, but this time it’s wrapped up in a rather pretty iridescent tube. Bonus? It’s almost impossible to lose in my handbag. The last of my chocolate-y flavours comes courtesy of Reese’s (one of my favourite candies in the world). I think I could live entirely on Reese’s Pieces! 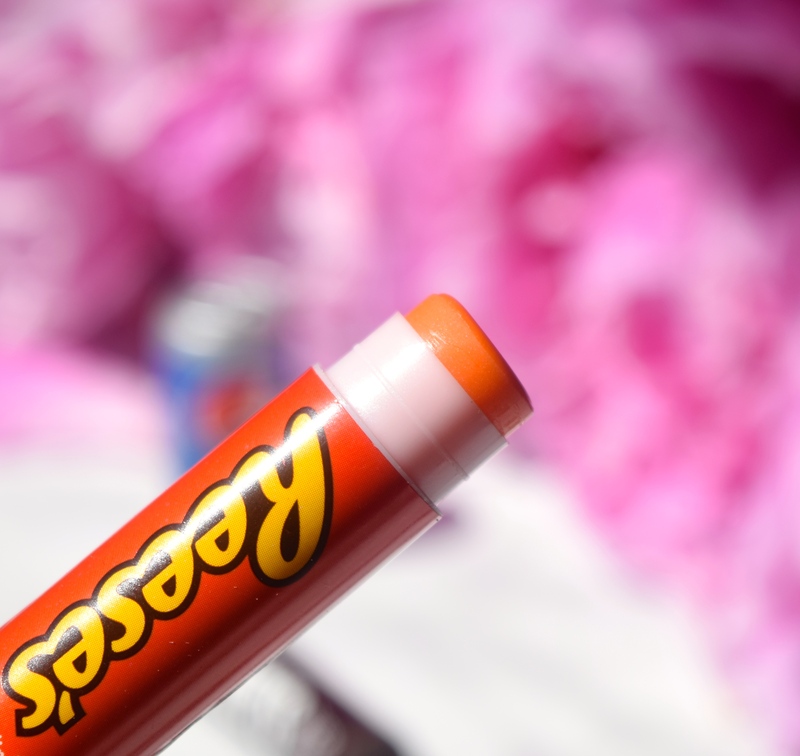 The balm this time looks orange, but applies clear, and it smells just like the candy! I’m not going to lie, I can’t use this balm when I’m feeling a bit peckish – it’s just so tempting! 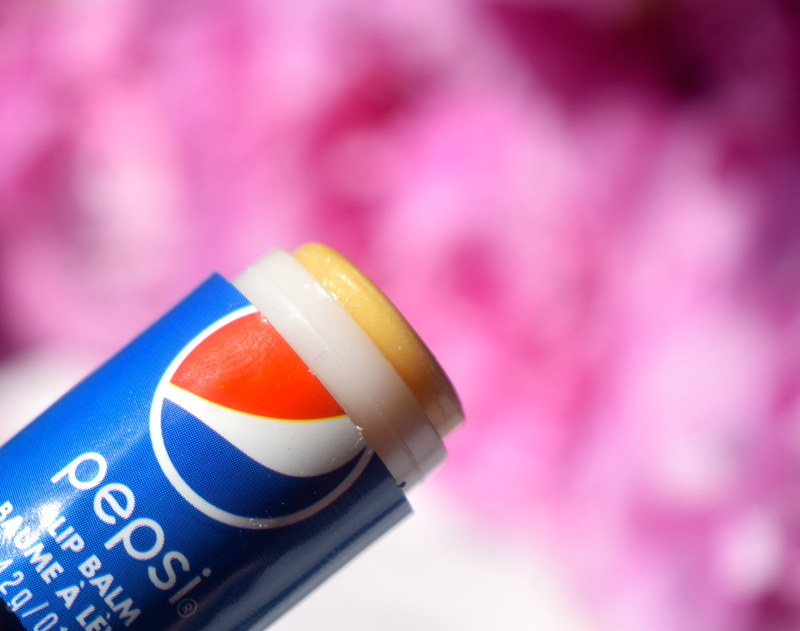 The Pepsi lip balm is absolutely amazing too! First off, the packaging is absolutely insane, and I love seeing the little can rolling around my makeup bag. I’ve been on a bit of a ‘weird beauty product’ kick at the moment, with hand creams which look like peaches and bananas, so having a teeny little drinks can just looks hilarious! It smells and tastes just like those cola sweeties you usually grab at the cinema. 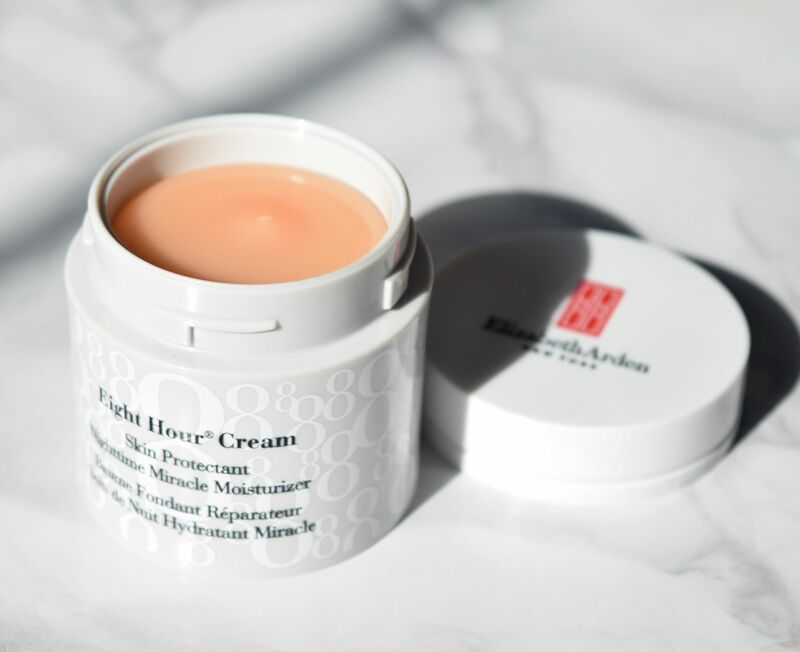 As someone who suffers from chronically dry skin year round, I’m always on the lookout for a cream which will hydrate and soothe without weighing down my sensitive skin. 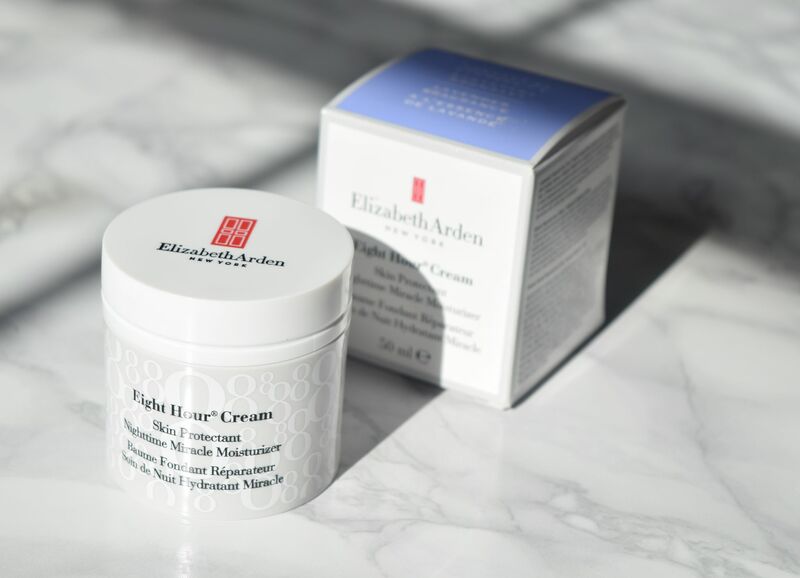 I’ve long been a fan of Elizabeth Arden’s iconic Eight Hour Cream, and haven’t been without a tube of the stuff for the past ten or so years, so, when I went to grab a new tube for my bedside drawer I caught a glimpse of their new Nighttime Miracle Moisturizer. Packaged in a dinky little screw-top jar, the Nighttime Miracle Moisturizer looks like the original cream, just little more whipped. Even though Elizabeth Arden claim that it has a lavender scent, the fragrance is super subtle and shouldn’t irritate sensitive skin. After going through my evening cleansing routine, I take a little of the Nighttime Miracle Moisturizer in my fingertips, and apply to my driest areas. 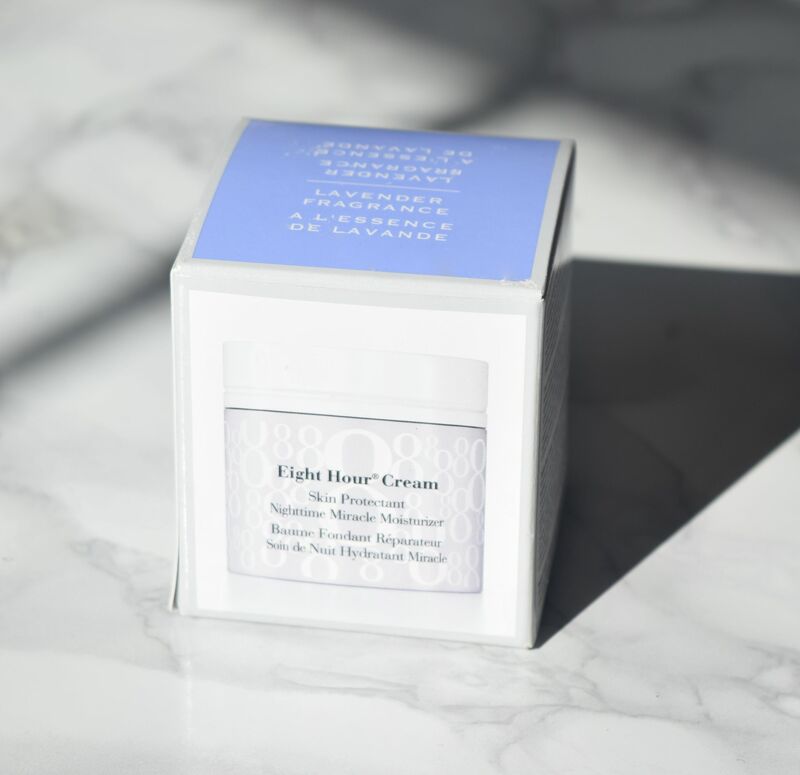 It’s not quite as thick and sticky as the original Eight Hour Cream, and even though the formula is quite thick and rich, it feels much balmier. What’s the most surprising thing about the Miracle Moisturizer is how quickly skin drinks it up. Within 10-15 minutes of applying it has completely sunk in, and my face feels calmed and nourished. This means you also don’t have to worry about staining bedding or waking up greasy-faced! Instead, as you sleep, it gets to work soothing and moisturising your skin, and you wakeup looking and feeling good to go! 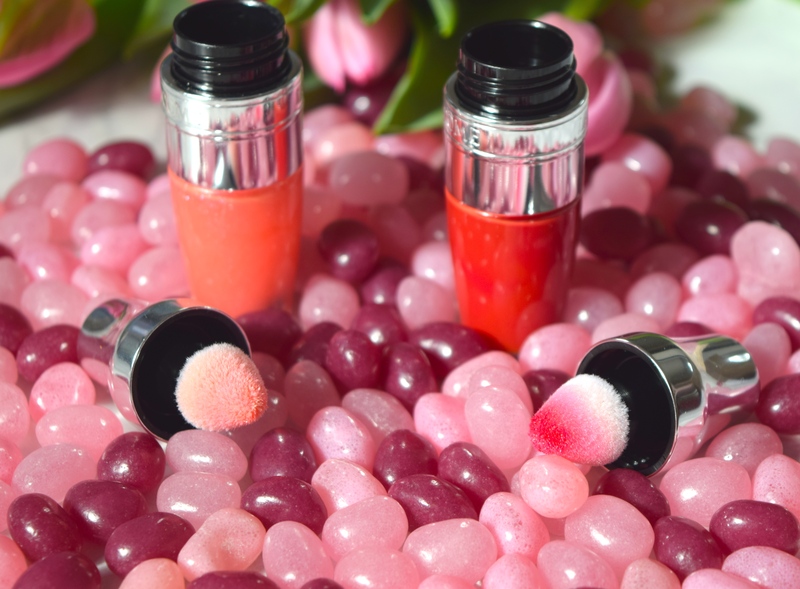 When I was at school, Lancome Juicy Tubes were a seriously big deal – you were no-one if you didn’t have at least a tube of the stuff poking out of your blazer. I think I’ve blazed through every colour they have, and I still keep their Lychee shade to hand if I’m after an easy pink glossy lip. 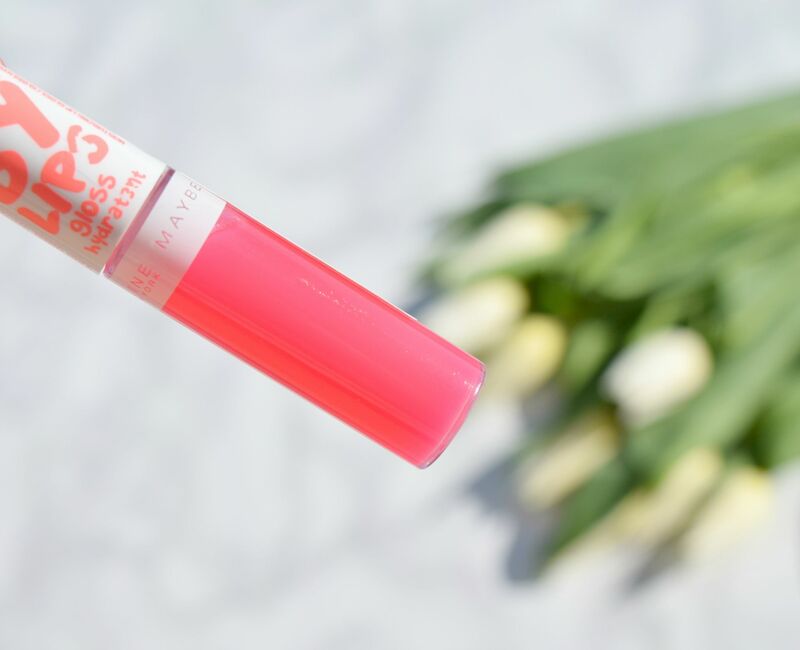 So, when I found out Lancome was releasing a whole new take on lipgloss, I just had to try it out! 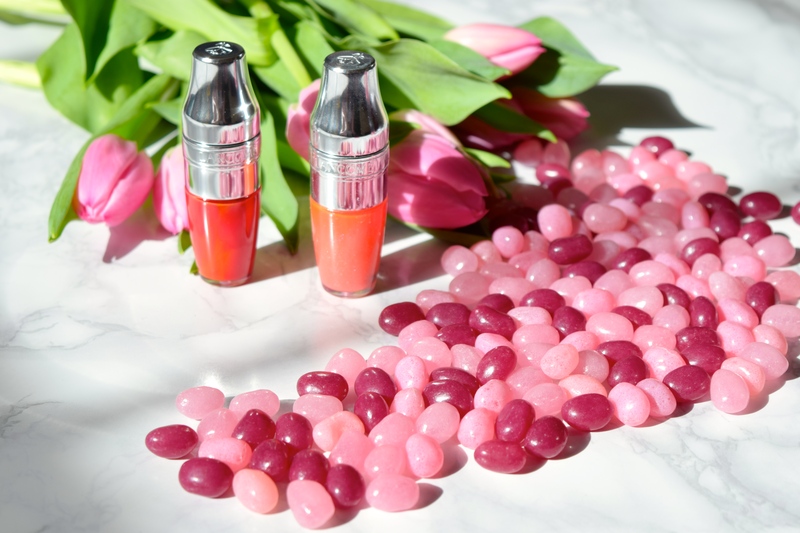 The brand new Juicy Shakers are available in 14 stunning shades, and are a hybrid of pigment and lip oil, which means you get a pretty lip colour as well as a real kick of moisture. They’re also a perfect choice if you want a product which is going to keep your lips in great condition too! 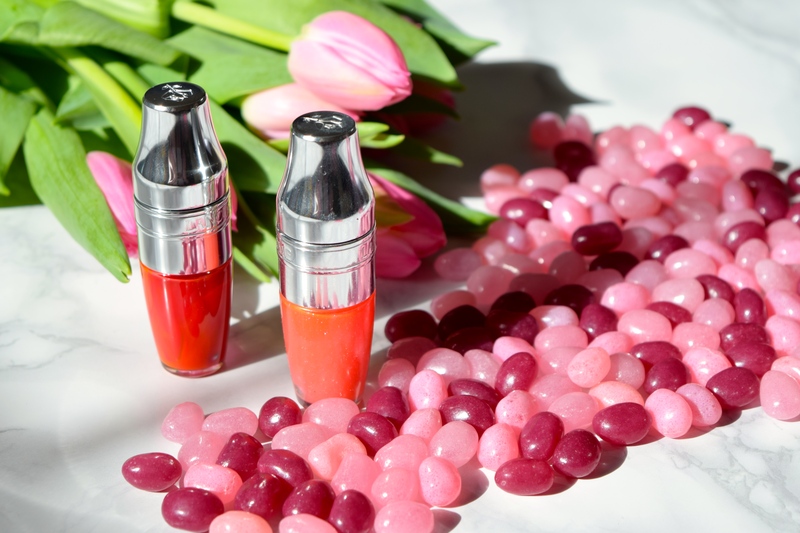 The packaging is inspired by an old Lancome lipstick which looked like a cocktail shaker, and before you use the glosses, you just give them a good shake. You can see the pigment and oil combine, and the more you shake them, the more intense colour you get. If, like me, you’re going to collect a couple of them, it’s great fun, as they all have different flavours and scents. 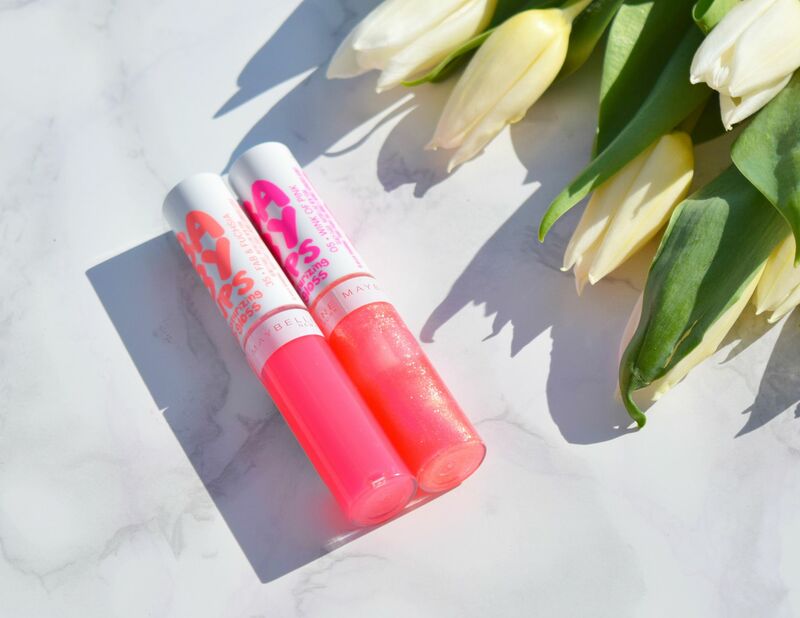 When I first got my hands on the two, I figured that they would be super sheer washes of colour, with the same, slightly sticky feel of my beloved Juicy Tubes. I couldn’t be more wrong! Mangoes Wild, especially, is a surprisingly vivid hit of pink-toned red which brightens the complexion, and makes teeth look super white. 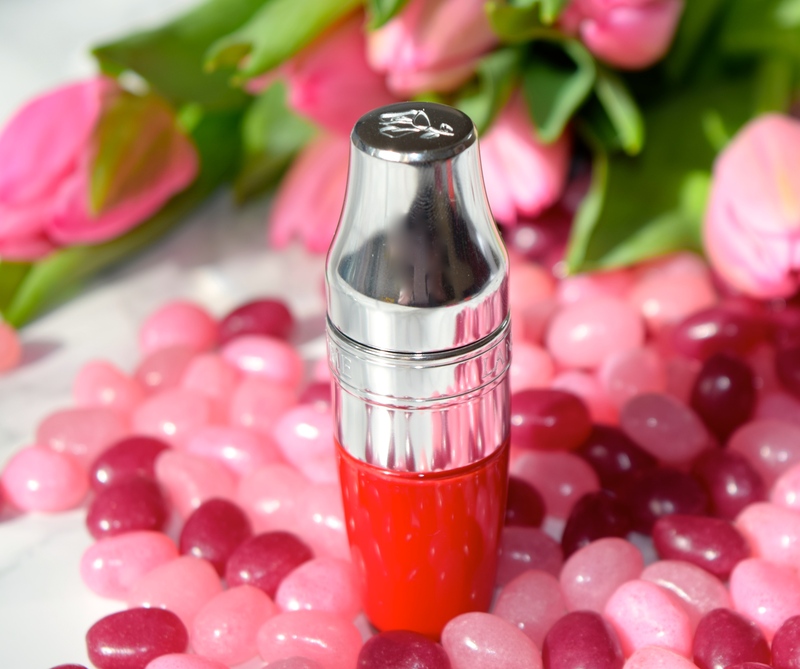 The feel of the Juicy Shakers is something completely new too! 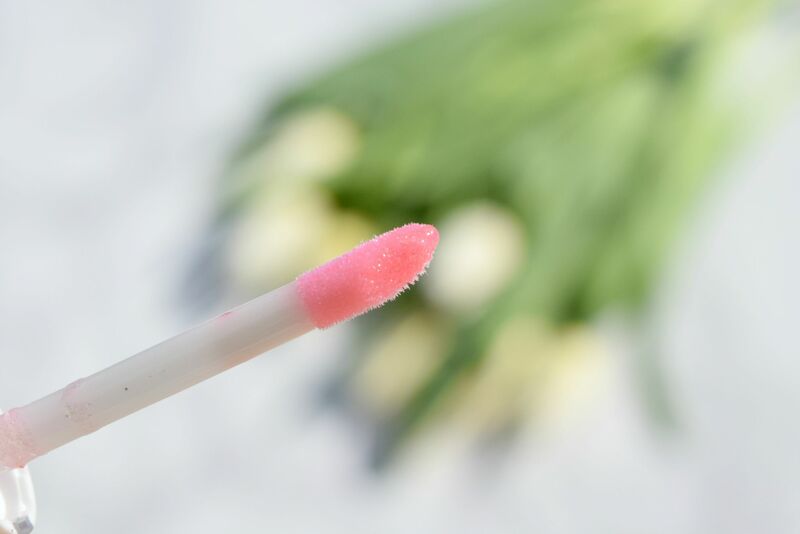 You apply the Shakers using the sponge applicator tips which are super soft, and let the goodness sink in. The formula is incredibly lightweight, and silky soft thanks to the inclusion of sweet almond oil, omega 3 and cranberry oil. 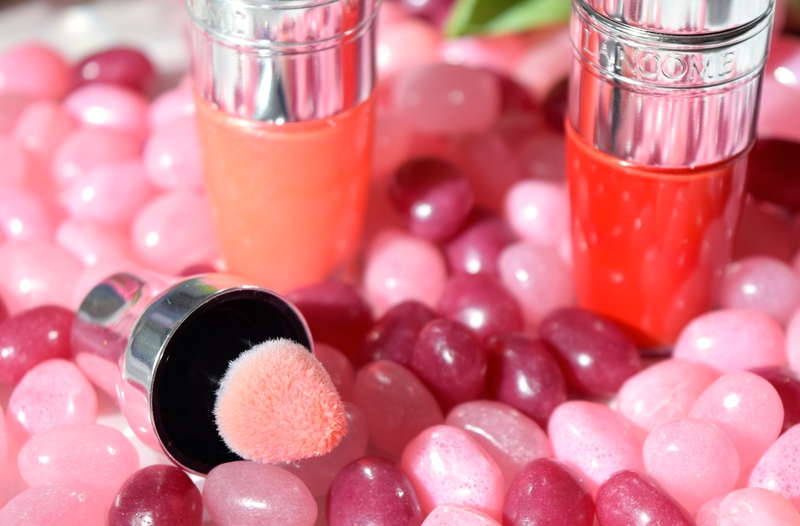 They leave lips feeling silky, with a perfect wash of colour. The lighter of my two (Lemon Explosion) has gone right into my handbag for day-to-day touch ups. It’s a sheer, slightly shimmery peachy-pink and it’s an effortless way to feel pulled together on the go. 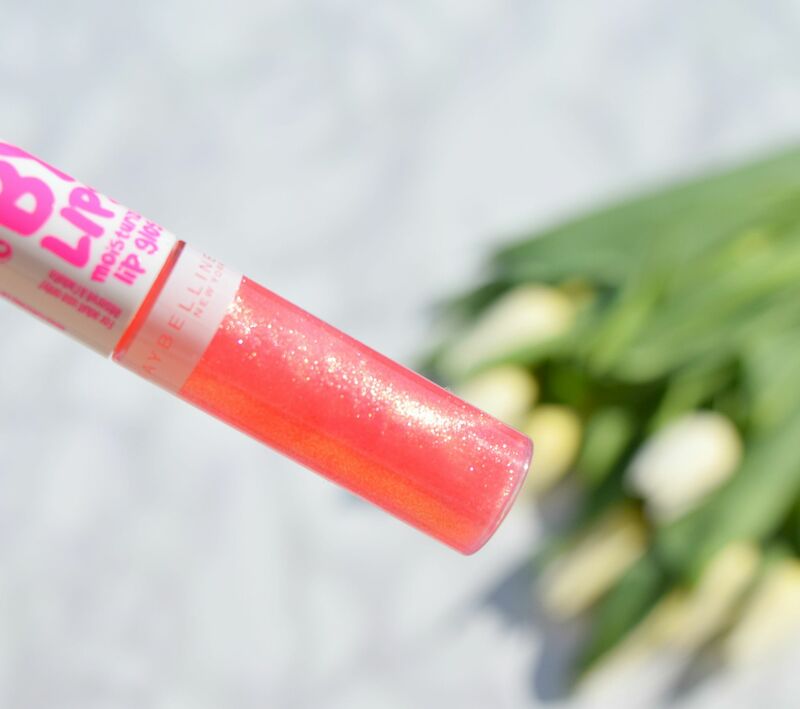 I’m just obsessed with the non-sticky gloss and beautiful colours (I’ve already picked up a rather fetching Mint to Be) you’ve got to check these out!